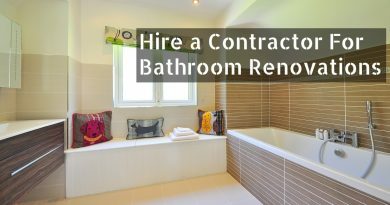 Bathroom accents can add a lot of personality to any bathroom theme; however, if you have never used a drill to drill ceramic tile, then you will end up with scratched surfaces, broken tiles and mounted frustration. 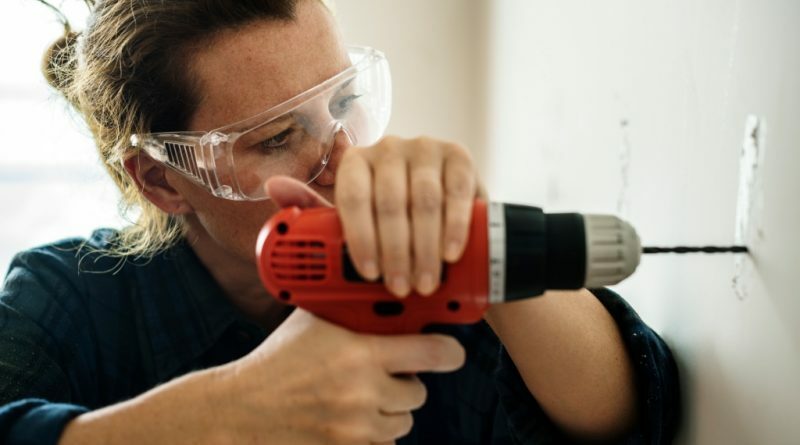 This does not mean that inexperienced DIYers cannot drill ceramic tile to install a toilet paper holder, towel holders, racks or any other item for that matter. With the right equipment, patience, and a steady hand it is possible to drill ceramic tile to add a special touch to your bathroom based upon your preferences and decoration tastes. In this article, we will explore all the steps that you need to follow to drill ceramic tile and the tools that are used to make the job easy and enjoyable. Ceramic tiles are man-made products, and their glossy surface makes perforation a challenge. 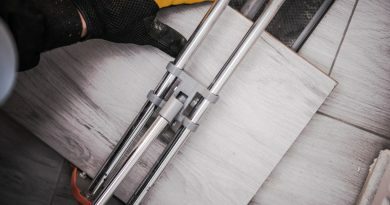 The art of knowing how to drill into a tile without breaking it resides in getting the right type of drill and drill bits, establishing a correct application point and applying the right type of force. This basic rule can be applied to any type of ceramic tile–from resistant porcelain tiles to softer versions of ceramic tiles. The best type of drill to use to drill ceramic tile is a power drill that has different speed levels to make the whole task easier. Speed is very important when it comes to drilling a ceramic tile, and while many people may assume that faster means better, the technique that is needed to bore through a ceramic tile has proven otherwise. Carbide-tipped masonry drill bits and diamond-tipped drill bits are the best options to drill ceramic tile. The latter is usually used on porcelain tiles due to the high degree of silica that is present in these types and which offers great perforation resistance. You will also need cutting oil to cool the bit when you drill ceramic tile. Drilling circular holes in a ceramic tile requires some degree friction. This can be easily achieved by using masking tape over the area that you intend to bore through and using a marker to mark it. The masking tape will create friction between the tile and the drill bit and reduce slipping during drilling. Simply make an “X” or an eight point star over the area with the masking tape before you begin to drill. Once you have marked the area that you intend to drill on the ceramic tile, then apply a little pressure and put the drill on a low speed to start drilling. After some time drilling into the ceramic tile, you will notice that a tiny hole has been formed. At this point you have created a weak point in the tile and drilling through will be a lot easier than in the beginning. When the hole has been formed, then you can apply some more pressure and increase the drill speed to bore through the ceramic tile. However, you should not apply too much pressure to drill the ceramic tile, because this may break the tile even after using the weak point as a guide. At some point in time, you will realize that you have perforated the tile. At this point, you will need to change the drill bit that was used to drill ceramic tile with another drill bit that is specially tailored for the surface that you are now drilling. 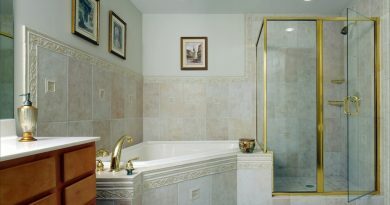 You will know that you are completely through when there is less resistance being applied to drill ceramic tile. Of course, some resistance will be created on the wall surface that the ceramic tile is located, but by having an idea about the thickness of the ceramic tile, it will be easy to know at which point you can stop. You should also take care to use a drill bit with a smaller diameter so as not to widen the hole that you have already created in the ceramic tile. 2. Mark the desired circular perimeter that you want to drill through and drill along the line with a carbide-tip bit. After this, you can use a flat-point screwdriver to break along the circular perimeter until the inner parts falls off leaving behind the desired hole. Drilling ceramic tile is straight forward once you know how. With a little practice and a little patience drilling your ceramic tile to put up bathroom accents or to access plumbing or wiring will be a breeze. Using a ceramic tile cutter or other ceramic tile cutting tools can be easily mastered with these tutorials.